Still got questions? Hopefully we have the answers! Can I just turn up or do I need to pre-register? Unless you are a large community group (10 or more people) there is no need to pre-register. Simply turn up to the designated meeting spot as specified on the Bushcare calendar PDF, 1374.91 KB. It’s a good idea to bring a bottle of water, long sleeved top and pants, enclosed shoes and a hat. A rain jacket can be handy in case the weather deteriorates. Council provides gloves, tools and onsite training for all volunteers. A qualified Bushcare Officer will also be on site to assist volunteers and a small morning tea will be provided. If you have trouble finding us just look out for the white Randwick City Council ute parked at the meeting spot or call the Bushcare mobile on 0410 314 830. In severe weather Bushcare will cancelled at the discretion of the Bushcare Officer. Regular volunteers will be notified by phone or email if Bushcare is cancelled. The Bushcare Officer will always turn up at site even when the session is cancelled to ensure no one is left waiting on site. Alternatively you can contact the Bushcare Officer directly on 9093 6708, 0410 314 830 or at bushcare@randwick.nsw.gov.au or visit our Randwick City Bushcare Volunteers Facebook group page for regular updates. No! You are the one kindly volunteering your time so you are welcome to stay for as little or as long as you would like. Like most activities Bushcare isn’t for everyone so you can turn up and give it a try to see if you like it or not. There is certainly no obligation to stay against your will. Not at all. Bushcare is an activity anyone can get involved in regardless of previous experience. Volunteers join in for different reasons. Some do it to help the environment, others for the social aspect, to improve their English or simply to get out of the house. Ok, but what do you actually do at Bushcare? I want to bring some friends. Do you have a limit on how many people can attend? Will there be a supervisor on site? Yes. Council’s Bushcare Officer will be on site to assist volunteers and answer any questions you may have. They will provide the suitable training and expertise to bring new volunteers up to speed as well as helping existing regular volunteers as needed. What skills will I get out of it? Volunteers are welcome to bring their children, however they must remain on site with them at all times. Yes. Due to insurance reasons children under the age of 16 must be accompanied by an adult at all times. Volunteers over the age of 16 are welcome to attend unaccompanied. Do I have to turn up every week? No. There is no minimum level of commitment. Volunteers are welcome to attend once or come back as often as they’d like. Will I be making a good contribution? Most certainly. By participating in Bushcare you are playing an active role in the management of your local environment. 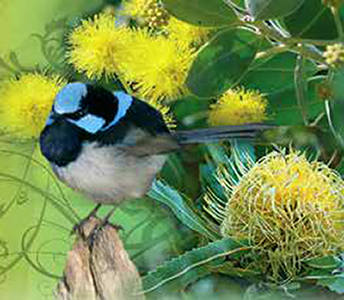 The weed control and planting activities you undertake are vital in helping to preserve and enhance existing bushland. Do I need to attend an induction? Upon your first visit Council’s Bushcare Officer will get you to complete a registration form and will run through a brief work, health and safety induction with you. After that you are free to participate and enjoy Bushcare. What other volunteering options are there? There is a huge range of volunteer opportunities available for those who are keen. Depending on your area of interest these may be in education, health, housing, the environment or something else entirely. The best place to start is by doing some research on the internet to see what opportunities exist in your area. For people with a particular interest in getting outdoors and doing something worthwhile for Australia’s environment have a look at Conservation Volunteers Australia. Most local councils offer Bushcare programs so if Randwick City Council is a bit too far to travel see what opportunities your local council has to offer. The best way to mitigate these risks is to adopt a common sense approach. This includes wearing appropriate clothing (long sleeved top and pants, enclosed shoes, hat), taking adequate rest and water breaks, being aware of your surroundings at all times and not rushing.